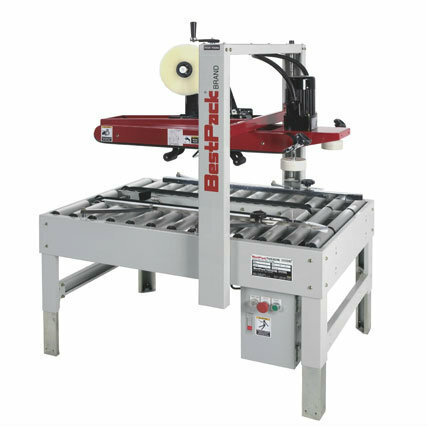 The BestPack MTLW Series are Semi-Automatic Adjustable Tape Carton Sealers engineered for economical, effective operator-fed closure applications. The MTLW's air-driven brushes tuck the leading and trailing tabs that hang over the bottom of the carton. These brushes facilitate top sealing of cartons from a min. height of 1/2" high, 3" lower than the MT's min. height of 3.5". All units are available in standard finish or stainless steel. Also available with 2" or 3" tape head. Adjustable Bed Height from 24.5" to 30.75"
? Machine weight and dimensions may vary depending on carton sizes. Please view brochure for complete machine specifications.
? Carton ranges are fully customizable. Please inquire with our sales team with your specific requirements.